Labels with "healthy" claims, keeping track of calories and added sugars, and making the connection between the calories we consume and the effort it takes to burn them off can make choosing healthy beverages feel complicated . 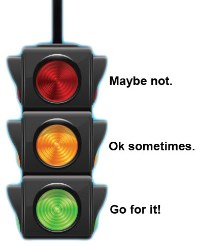 Using our easy guide with the "stoplight" approach can help you make the best choices for you and your family. View or download a guide here. Click here for quick tips. 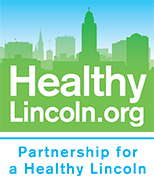 View or download healthy beverage flyers or posters in the sections below. Drinking too many sugary beverages is a leading contributor to the obesity epidemic. In kids, liquid calories account for half of the increase in the childhood obesity epidemic. Obesity increases the risk of diabetes, heart disease, arthritis, asthma, and certain types of cancer. More than one third of U.S. adults are now obese. The number of children diagnosed as clinically obese has quadrupled since the 1970’s. Inactivity, too much “screen time”, aggressive food marketing, and processed foods are also culprits. According to the Centers for Disease Control and Prevention, soda and other sugar-sweetened beverages are the TOP contributors of added sugar to the American diet. On a typical day, 80% of youth drink sugar-sweetened beverages, up to 20% of the total calories they consume. The average American consumes about 45 gallons of sugary drinks per year. Sugar-sweetened beverages are defined as those providing no or little nutrient value and containing primarily sugar. Soda Pop While sales of soda has decreased, soda continues to be a leading sugar-sweetened drink choice. Drinking just one soda a day increases an adult’s chance of being overweight or obese by 27%. For children, that likelihood doubles to over 55%. One 20 ounce Coke, which is marketed and sold as a single serving, has more sugar than six Krispy Kreme donuts. The average adult has to walk 3 miles to burn off the calories in one 20 ounce regular soda. Download or view this flyer or poster as an easy reminder. Fruit-Flavored Drinks The word “fruit” on a label can often mislead consumers into thinking that the contents are healthy. “Fruit-flavored” drinks (less than 50% real fruit juice) are rarely more that colored sugar water, and have no health benefit at all. “Lite” fruit-flavored drinks with artificial sweeteners, even if they have added vitamins, can have the effect of causing sugar cravings, frequently leading to indulging in calorie-laden sugary snacks. Learn more. How far do you have to walk to burn off the calories from a "fruit-flavored" snack? Download or view this flyer or poster to find out. 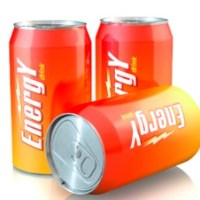 Regular calorie energy drinks are not only loaded with sugar, but caffeine. That’s bad enough for adults, but for kids it’s worse. The American Academy of Pediatrics has stated that energy drinks have no place in the diet of children and adolescents. Learn more about the dangers of energy drinks for kids. There are several problems with energy drinks including how they “fix” the problem of being tired (they don’t), the ingredients they contain, the extra sugar included, and their potential for abuse. Learn more facts about energy drinks. How far do you have to walk to burn off the calories from a typical "energy snack"? Download or view this flyer or poster to find out. Sports drinks are only necessary for athletes participating in prolonged vigorous activity for more than an hour in extreme weather conditions. For all others, they are merely a source of added sugar. The Institute of Medicine advises against providing sports drinks to students except those participating in vigorous athletic events. Young children rarely, if ever, expend enough calories in sports or play to offset the calories in sports drinks. Learn more. Flavored or enhanced waters are generally sugar-sweetened waters that also contain any variety of added ingredients and are usually marketed as enhancing health and well-being. There is little evidence to support any health benefit and some popular brands contain 6 – 8 teaspoons of sugar per 20 ounce bottle. Sweetened Coffee Drinks and Teas Sweetened coffee drinks and teas are also a major source of sugar and are widely consumed by older youth. While having less caffeine than energy drinks, even modest amounts of caffeine have been associated with sleep disturbances and nervousness in youth. A large Cinnamon Roll Frappuccino from Starbucks contains 30 teaspoons of sugar, or the equivalent of an entire liter of regular Coke. 100% Fruit Juice Real fruit juice (100%) contains lots of sugar and should be used in moderation. Overconsumption of fruit juice can cause tooth decay and dental erosion. 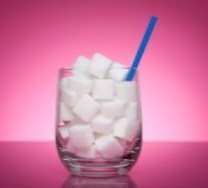 A new study shows that the most severe cases of dental erosion in adults occur among people who drink sugary soft drinks and fruit juices. The American Dental Assocation recommends no more than 4 ounces of 100% fruit juice a day. Choose fruit juice that has no added sugars. “Diet” Drinks Studies to date have shown that switching to diet drinks doesn’t result in weight loss. Even worse, many show that the opposite happens; drinking diet soda and other artificially sweetened drinks is associated with gaining weight. The conclusion of several studies is that artificial sweeteners make you hungry. So, although the diet drinks have no or fewer calories, they make you hungry and you eat more food. Learn more. "Low sugar" drinks are not much better. While lower in calories, they still contribute unneeded added sugars to your diet, frequently without the benefits of any nutrients.